Familiar Fox is Nicole, a creative director with a focus in branding & promotional design. I work mostly with small businesses and fellow creatives in both print & online media. I'm all about YOUR brand, special "where the heck do I even start?" projects & all things photography. Looking for the eternal in the ephemeral, Landon photographs fine art projects around the world. I am extremely thankful to have worked with this talented photographer. His work is currently blowing up: featured by places like Instagram, Communication Arts, PDN, etc. See what we've done together! Since Landon's work truly speaks for itself, we decided on a very straightforward logo. Since he works & lives in NYC as a photojournalist, it was only natural to pull inspiration directly from the city - and its transit system - for his updated branding. Simple but timeless. "This book is a testament to the BBQ pitmasters of the American south, with soulful portraits by Landon Nordeman and text by John T. Edge. An excerpt of this work appeared in Saveur Magazine 2011. 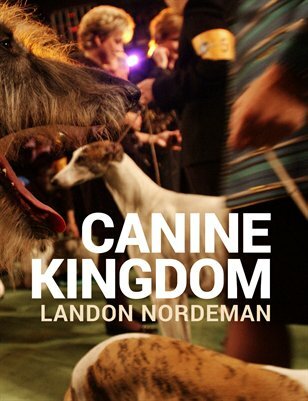 For this series, Nordeman received the James Beard Foundation Award for Visual Storytelling in 2012."